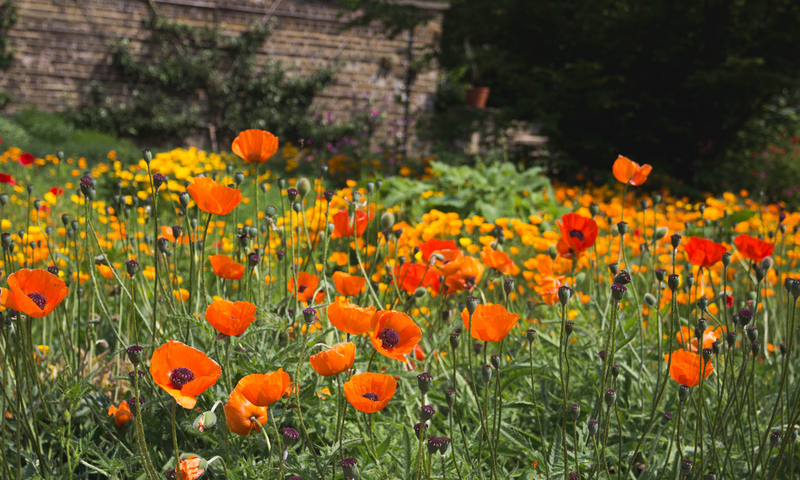 Please contact us if your garden is in need of some garden maintenance after the long winter either by phone or filling in the ‘Free Estimate’ box on the Home Page. Ed’s Garden Maintenance Operator Steve Frise who covers Esher to Weybridge recently put up a shed for customer. The customer was impressed by their quick work. 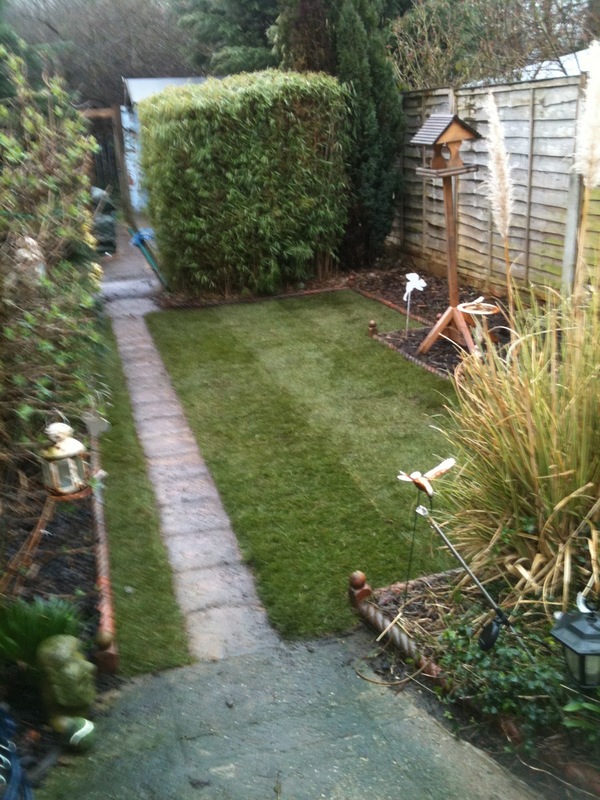 Please contact us if you would like a free estimate for some garden maintenance work. 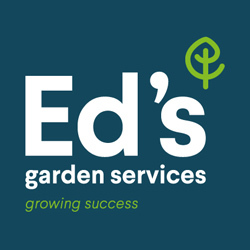 Ed’s Garden Maintenance Operator John Marshall who covers the Woking area recently received a text from a customer asking for help! The customers garden had suffered due to her dog running all over it and creating a mud bath, John returfed the lawn and gave the garden a tidy up. The customer was so pleased she then asked him to Hayling Island for more help “We desperately need you!” John was unable to help in this instance but was happy to be so appreciated. Please contact us if you would like to have a free estimate for a new lawn or some garden maintenance work undertaken. WITH a gardening franchise you can earn a living from something you enjoy – all year round. But there’s more to gardening as a business than pottering around in other people’s lawns and flowerbeds. 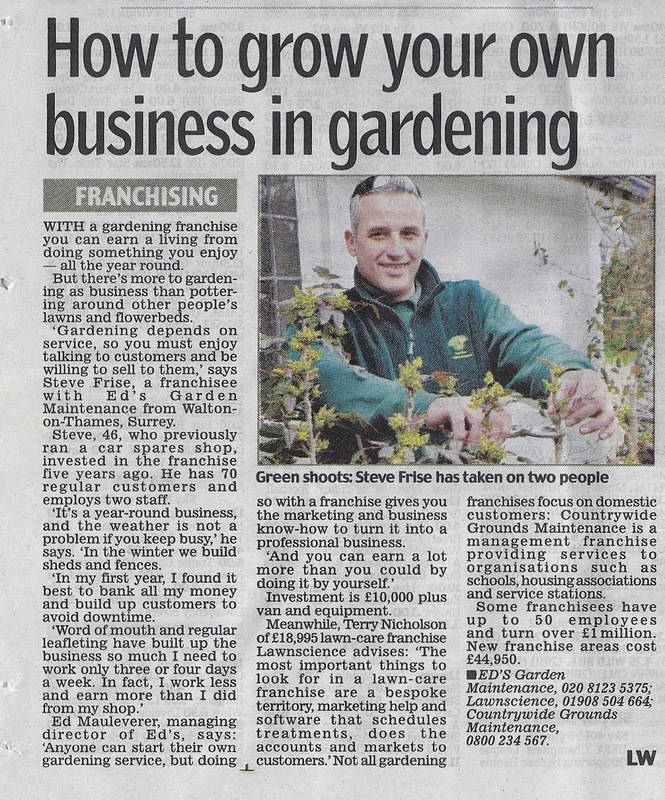 “Gardening depends on service, so you must enjoy talking to customers and be willing to sell to them,” says Steve Frise, a franchisee of Ed’s Garden Maintenance from Walton-on-Thames, Surrey. Steve, 46, who preciously ran a car spares shop, invested in the franchise five years ago. He has 70 regular customers and employees two staff. “It’s a year round business, and the weather is not a problem if you keep busy,” he says. ” In the winter we build sheds and fences. Investment is Â£10,000 plus van and equipment.